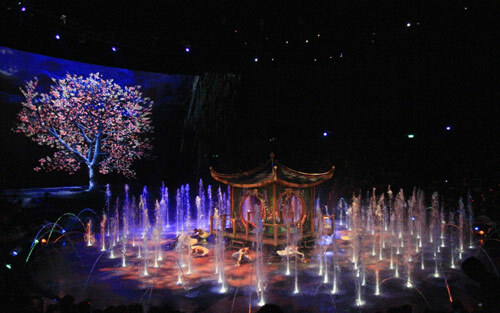 One of the greatest attractions in Macau today is the House Of Dancing Water show. A trip to Macau is simply incomplete without it. This breathtaking show is staged in the purpose-built Dancing Water Theater which features approximately 2,000 seats and is designed by world renowned Sandi Pei of Pei Partnership. A Must-see Experience, The House of Dancing Water is housed in a purpose-built theater designed with many breakthroughs including a stage pool that holds a record-breaking 3.7 million gallons of water, equivalent to 5 Olympic-sized swimming pools. This state-of-the-art theater provides the setting for an epic love story and spectacular journey through time, showcasing dazzling costumes, special effects and record breaking acts never seen before in a theater.The show is a must-see experience you’ll want to relive over and over again. Be sure to catch it, only at City of Dreams, Macau. We, at Continental HK, bring to you the option of booking tickets for your guests well in advance, at very reasonable prices. Just contact us for your requirements !